Fuchsia (see more photos) is a popular potted plant. In Hawaii, it grows into a shrub up to 6 feet (1.8 m) in height if the conditions are right – shade and moisture. It can also be found in Hawaii’s wet forests. 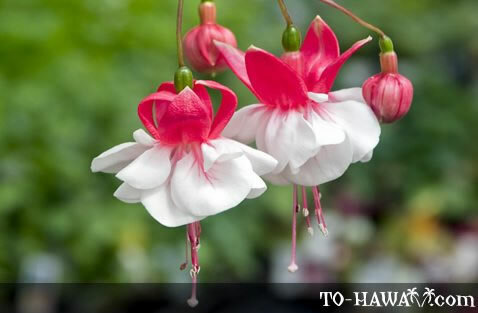 The plant's Hawaiian name, kulapepeiao, means “earring,” probably referring to the way the flowers dangle on the stems.